Please select an optionInterested in having us manage a property?Interested in having us lease a property?a current property owner client?interested in renting from us?a current tenant?a real estate agent? Des Moines, Iowa – October 15, 2015 – Des Moines home rental rates are rising, according to Real Property Management Des Moines Select, part of the nation’s leading property management franchise organization, and RentRange, the nation’s leading provider of Rental Market Intelligence™. In their third quarter “Rental Statistics Report,” the companies found that the average monthly rent for single-family homes in Des Moines was $1,174 representing a 6.6 percent year-over-year increase. Nationally, home rental rates experienced a 5.7 percent increase since last year and the median now exceeds $1,360. The data used rents on three-bedroom single-family homes only to insure comparability across markets. “Given the economic factors that contribute to Des Moines’ housing market, we expect rental rates will continue to rise,” said Angela Weaver, Business Development Manager for Real Property Management Des Moines Select. The Des Moines office is a franchisee of the Real Property Management franchise system. Des Moines vacancy rates, the percentage of homes considered unoccupied, fell to 2.17 percent through the end of the third quarter. This represents a .15 percent decrease since last year. The rate fell to 5.31 percent for the United States, a .24 percentage point decrease from 2014. The report also analyzed the saturation rate in Des Moines. This is the estimated percentage of rented single-family homes as a share of all single-family homes. Results showed that in the Des Moines area, 16.97 percent of single-family homes are rented. As leaders in the rental housing industry, the Real Property Management franchise and RentRange have an ongoing strategic business relationship. 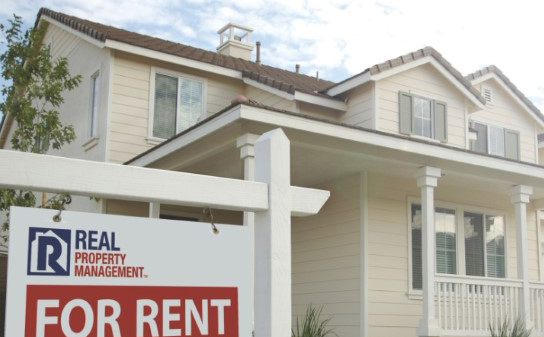 Real Property Management offices rely on RentRange’s proprietary rental housing data to provide landlord customers with accurate, current information about local rental properties and rental markets. Real Property Management is a franchise organization owned by Property Management Business Solutions, LLC, a privately held corporation based in Utah. With over 25 years of industry expertise, Real Property Management offices provide full-service residential property management for thousands of investors and rental home owners from more than 260 independently owned and operated locations throughout the United States and Canada. For more information about Real Property Management, property management services or franchising opportunities, visit https://www.realpropertymgt.com/ or www.propertymanagementfranchise.com/. RentRange is the nation’s leading provider of Rental Market Intelligence™ to the financial services and real estate industries. It delivers rental data and analytics as well as rent-based valuation solutions for single-family properties, with products that include on-demand automated rent valuation reports and subscription-based data available. RentRange clients include institutional investors in residential real estate; property managers and landlords; mortgage lenders; Wall Street firms and rating agencies. RentRange was founded in 2007 and is located in the greater Denver area. For more information please visit rentrange.com.